A non-alcoholic sangria with tropical flavors of pineapple juice, coconut water, and coconut soda. 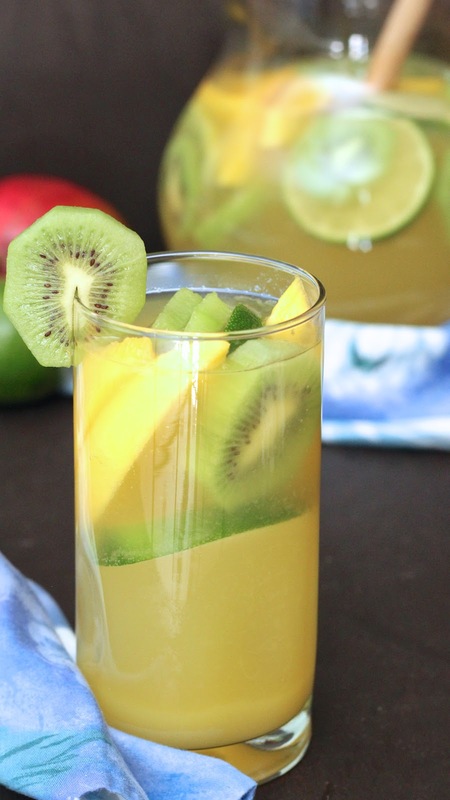 Fresh sliced mangos, kiwi, and lime provides gorgeous color to this refreshing drink. If we were to judge people by the kind of beverage they drink, then I must be one of the most boring people, because my drink of choice is plain old water. Waah waah! Whether it's the middle of the day, lunchtime, dinner, eating at home, or dining out, water is what quenches my thirst. That is not to say I don't like other beverages, I do...just with less frequency. Perhaps that explains why there is a disproportionate amount of drinks to food ratio on this blog. You see, the last time I served y'all a drink was last August when I made this beauty. It's about time I offer you something to quench your thirst! This virgin sangria is not only delicious and refreshing, it is also crowd-friendly and good for all ages. On warm summer days, it hits the spot and goes down nice and easy. You may even want to make a double batch as there will be requests for refills. With this particular sangria, you will be able to please everybody. Because there is always someone who can't have alcohol for whatever reason, virgin sangria solves that problem. For those who would like a little somethin' somethin' of the spirited kind, add a splash or two of liquor into their glass. Everyone is happy...easy peasy! And if you're looking for something refreshing with a grown up twist, check out my remake of a classic here. The fact that it is a drink and a snack in one makes sangria so much fun! The juice-soaked fruits are scrumptious! 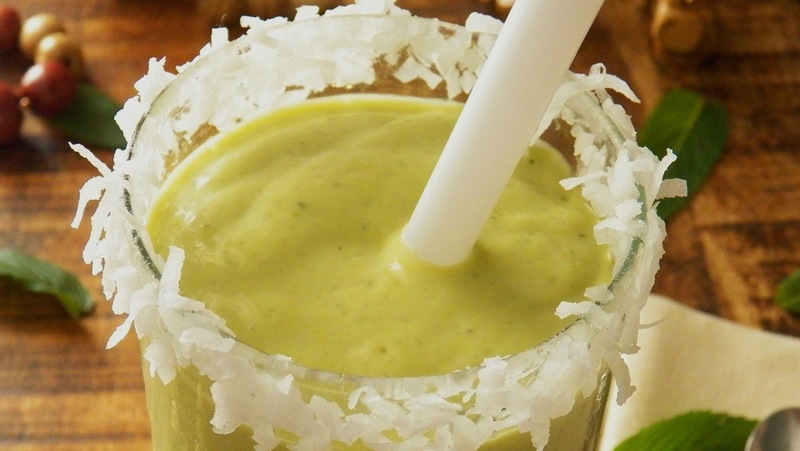 And this virgin version (say that 10 times) can be as healthy has you want it to be. I used pineapple juice, coconut water, and coconut soda as the base. The coconut soda adds fizz, sweetness, as well as intensifies the coconut flavor. I added a small amount of sugar for a little extra sweetness. 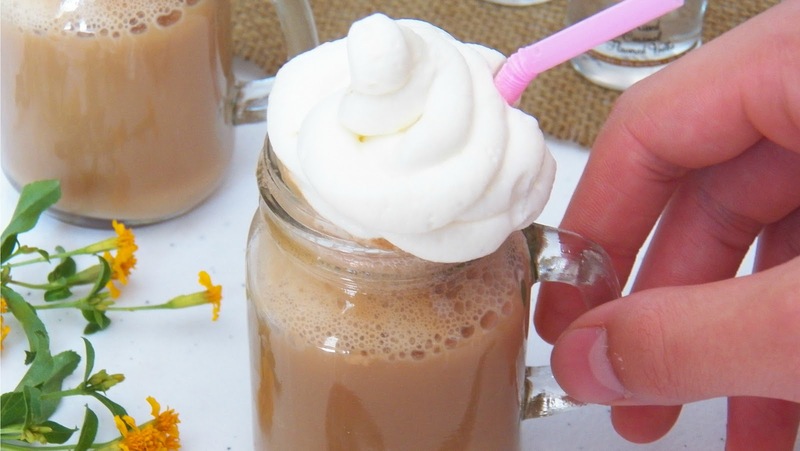 To make this drink even lighter, use natural sweetener or sugar substitute. My two favorite sugar alternatives for this are agave nectar and Stevia White Powder. If you want to omit soda entirely, replace it with more coconut water or tropical flavored carbonated water. Be sure to use extra sugar if you do. The really fun part is the fruit. Slice and/or chunk up a variety of your favorite tropical fruits—mango, kiwi, lime, papaya, pineapple, star fruit, etc.—and add them to the liquid. Refrigerate for 3 hours, longer if you wish, to allow all of the flavor to meld. Serve and enjoy! Combine pineapple juice, coconut water, sodas, and sugar in a pitcher. Stir to dissolve sugar. Add fruit. Refrigerate for 3 hours or more. Serve and enjoy! Makes 6 to 8 servings. I think I'd be the coolest guy in town then, my favourite drink is water & lemon!! Not just water and not just lemon. But Water & Lemon. Water and lemon...much cooler than the plain room temp water that I drink! :) This sangria definitely spices our water drinking regiment up a bit. I'm glad you're ready to give it a go! This looks tasty. I agree - a virgin option is always a great thing to have. I love being able to offer my guests who aren't drinking, for whatever reason, a "fun" option too! As a hostess, I think part of the fun is watching everyone else enjoy themselves. Thanks for your comment and for stopping by!! Hahaha I would be one of those boring people too! I can't stand sodas and that kind of stuff... they all seem like watered down sugar syrup. I'll get the sugar syrup in my cake, thx very much! Love that this is virgin since I'm 15 and I can't legally drink alcohol! I wouldn't want to miss out on this wonderful looking drink either! When I was a kid, it was such a treat to eat out because I knew there would be soda. As an adult, I rarely have it by choice (but I still love my root bear float!). I'm so glad you like this virgin sangria. It truly is a drink that suits everyone. Thanks for stopping by, Anne! I switch up my water drinking regiment with tea too, Liz. Although I don't drink it for the taste, but for the health benefits (I drink green tea and ginger tea). The sangria really hit the spot this weekend when it as nice and warm. Ain't nothin' wrong with your love of H2O! Most people (me included) dont drink enough of it according to the daily recommended intake. I'm glad you decided to shake things up a bit though, because this tropical sangria is gorgeous and sounds delicious! I love that you used two forms of coconut (the water and soda), I bet that makes this sangria taste amazing! This is perfect for the summer and you can bet I will be making this soon! ♡Cheers! The water is there for the health value, but it doesn't provide enough oomph, so the soda compensates for it. I'm glad you want to try the sangria out. Hope you like it, Cheyanne! Love the coconut in this sangria, this would be such a nice summer drink by the pool, can't wait to try it! I hope you get a chance to try this drink out! Haha I would be joining you since I usually drink water or tea only too. Your sangria looks so pretty and refreshing though! Perfect for summer! We can be water buddies! And I'm low maintenance...I have no problem drinking it room temp, straight from the tap. I make a conscious effort to drink tea too, not so much because I like the taste, but because of the health benefits (I drink green tea and fresh ginger tea). Glad you like the sangria! This does look delicious and refreshing. I just got a soda stream and am using it to carbonate water which I serve with a slice of lime. I need to find this coconut soda you speak of! 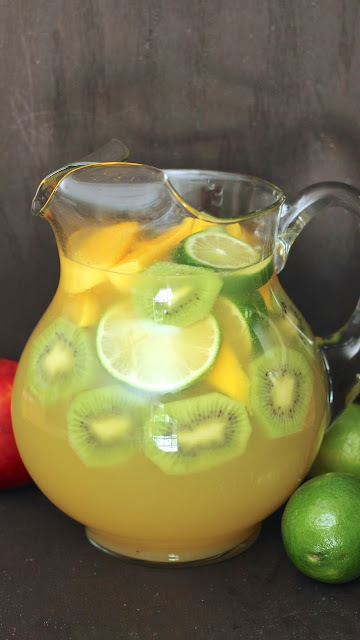 Love your version of a tropical virgin sangria and it has all my favorite fruits too! Can't wait to make this to serve at one of our BBQ's this summer. I'm so glad you like it, Karrie! The fruit tastes even yummier soaked in juices and soda. 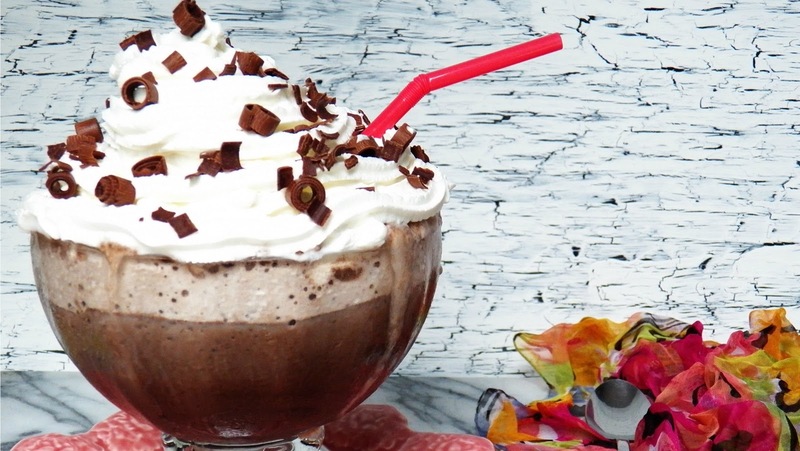 Your guests will love this drink! I swear Thao, your photos and recipes just keep getting better and better! This Virgin Tropical Sangria looks divine! I could drink two glasses of these in an instant. Amazing as always! Thank you Levan! That's so sweet of you to say. The photography is my least favorite part of blogging. I wish I was more intuitive and better at it so it wouldn't take me so long to do photoshoots. I think my weekend needs this in it!